Home→Allgemein→CAR ASYST – Display the AdBlue, engine oil and fuel level in lightning speed! CAR ASYST makes it possible to have various fluid levels displayed. 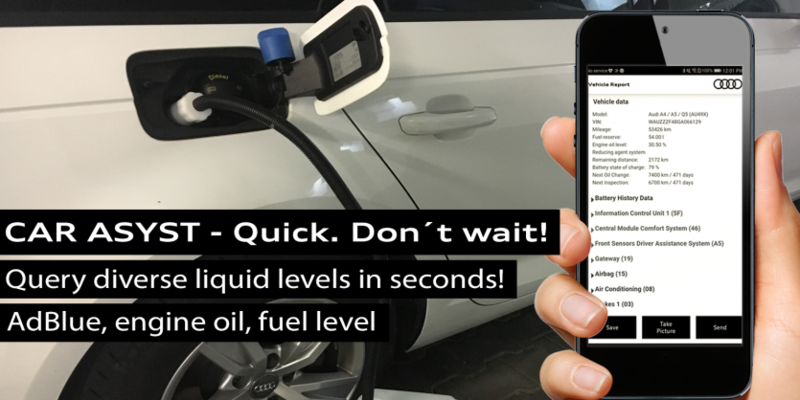 App users are able to read out the AdBlue, engine oil and fuel level in seconds. Users are thus given up-to-date information what the remaining mileage is. This makes it possible to reliably estimate service dates and repair shop intervals. Visit our website for further information about the Features of CAR ASYST.